Good news for us involved in public opinion research. Despite the occasional negative press spurned by poll failures, pollsters improved their perception from 34% to 42% positive. Of course, that still puts pollsters only ahead of car salespeople (26%) and politicians (22%). So lots of room for improvement. Check out the full list from the Insights West Survey. 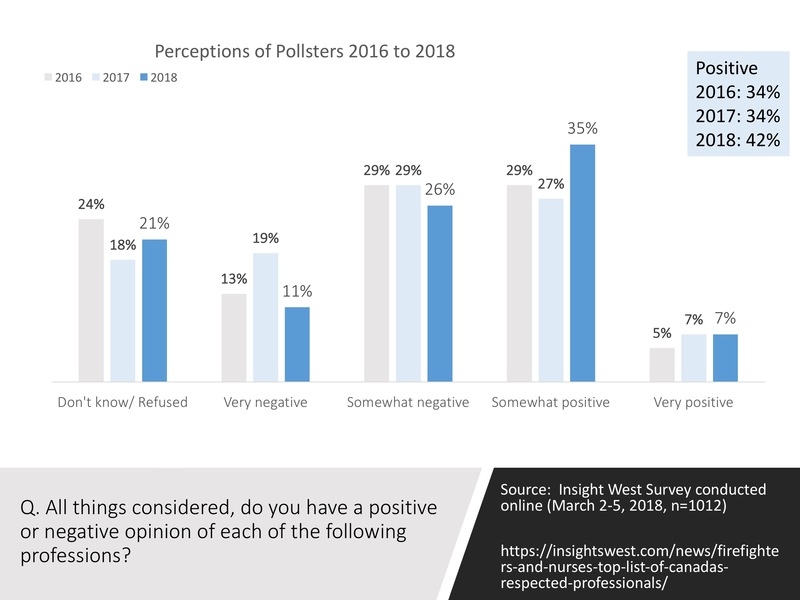 Source: Insights West poll conducted online study from March 2 to March 5, 2018 (n= 1,012 Canadian adults). Additional information here.